Are you a candidate for knee replacement? Dr. Lawrence Lieber, orthopedic surgeon, discusses advancements in total knee replacement surgery. Is rheumatoid arthritis causing your achy joints? Did you know that rheumatoid arthritis can strike as early as age 25? Read more. Experts say that just being a woman automatically raises the risk for osteoporosis, a condition that weakens your bones. Learn why. Sprains can be minor or major—and just plain painful. Here’s what to do when you have a sprain, or think you do. 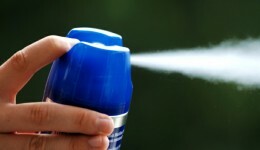 From bed bugs to pesky mosquitoes, most insect bites are no more than a nuisance, but some bug bites may require medical attention. 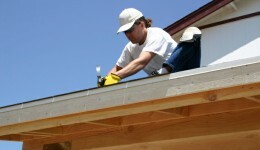 Home improvement is all the rage, but one in five do-it-yourselfers will suffer an injury. Here’s some tips to help you stay out of the emergency room. Is total joint replacement surgery right for you? Many people who need a hip or knee replacement often suffer for years before getting help. Find out what treatment options could help ease your pain.